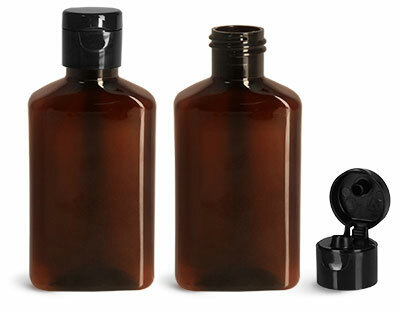 Amber PET oblong bottles with black snap top caps are a great way to protect and showcase your products! Amber PET oblong bottles provide UV protection and barriers against moisture and oxygen. The dynamic shape and color of these amber plastic bottles allows for use within a variety of product lines, with ample space for labeling and customization. Black snap top caps pair well for dispensing product in a streaming manner.